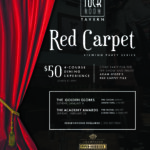 The Tuck Room Tavern, a jovial neighborhood dining + drinking den serving craveable American cuisine under the culinary direction of Chief Operating Officer, Restaurant Division, Chef Sherry Yard, is hosting a dazzling evening complete with a 4-course prix fixe dinner during The Academy Awards (2/26). 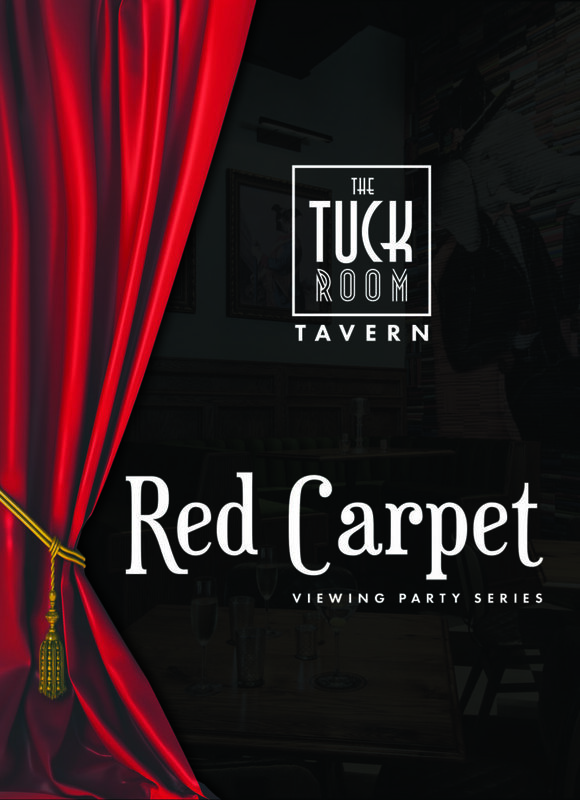 Ditch your living room and join The Tuck Room Tavern in their swank and intimate dining room this awards season. Watch The Academy Awards in ultimate style as you dine on a 4-course Red Carpet dinner by celebrated Chef Sherry Yard for $65/person. Dishes are named after recent blockbusters—think entrees like La La http://www.viagrabelgiquefr.com/ Lamb (La La Land) mirin marinated lamb chops with ginger, chili and mint vinaigrette and Meuniere By The Sea (Manchester By The Sea) filet of sole, browned Normandy butter, grilled lemon and pommes parisienne; followed by a duo of desserts co-starring Secret Life of Arlettes (Secret Life of Pets) puff pastry cookies and Red Velvet Carpet Pavlova with crispy vanilla meringue, red velvet raspberry, chunk ice cream, whipped cream and chocolate sauce. View the full menu at http://www.thetuckroom.com/redcarpet. Arrive early for a pre-show critic’s soiree and enjoy Master Bartender and Advanced Sommelier Adam Seger’s Red Carpet Fizz. The signature cocktail for the evening is garnished with a delicate rose petal and features blood orange purée, McMurray Ranch Pinot Noir, Balsam Amaro and Piper-Heidsieck, the Official Champagne of the Red Carpet. And don’t forget to cast your ballots before the show! Vote correctly and you’ll be entered for a chance to win iPic movie tickets. Reservations required, call (310) 307-7004 to RSVP. The Tuck Room Tavern Los Angeles: 10850 Wilshire Blvd., Los Angeles, CA 90024. The Tuck Room Tavern is a neighborhood place where you can eat and drink with enthusiasm and pleasure. A concept by acclaimed Chef and Chief Operating Officer of iPic’s Restaurant Division, Sherry Yard, The Tuck Room Tavern is a lively and whimsical dining and drinking den offering craveable American cuisine meant to be enjoyed with friends and family in a jovial environment. Master Barman and Advanced Sommelier, Adam Seger, curates a ‘Love Letter to Los Angeles’ – finding inspiration from the diverse culture and unique history of LA – focusing on ingredients from the Santa Monica Farmer’s Market and inspired by the classics with exciting modern twists. Local craft brews and a diverse wine list round out the thoughtful beverage program that complements the inspired flavors from the kitchen. The Tuck Room Tavern is located next to iPic Theaters Westwood at Avco Center in Los Angeles, CA. For reservations or more information visit, www.thetuckroomtavern.com or call 310-307-7004.